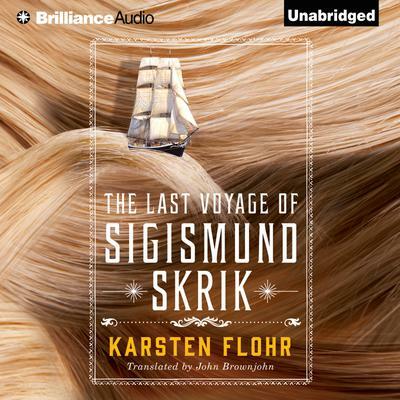 Widely known as “master hairdresser of the seven seas,” Sigismund Skrik is famous both as an artist of the scissors and comb, and as the soul of discretion. Not only will he give clients new, life-changing looks—he also gets to know all their secrets. But the days of transatlantic sailing are numbered. It’s 1879, and Europeans immigrating to the United States are starting to prefer the huge new steamships that make the crossing ten times as fast. As those glory days come to an end, Sigismund embarks on his final voyage from Hamburg in the old clipper Liberty, welcoming the latest batch of emigrants with his usual open-minded calm. He doesn’t know them yet, but he will. As each one passes through his cabin salon, the stories they tell reveal the drama, pathos, and humor of a thousand lives that, for a brief, wave-tossed spell, come together on their way to the promised land.